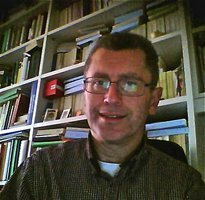 Marco Fucecchi is Associate Professor of Latin Language and Literature at the University of Udine. He specializes in literature of the Augustan Age (Virgil, Ovid) and the Early Empire, especially focussing on Flavian epic poetry. In this field he has already published several papers, in particular on Silius’ Punica, as well as monographs such as his commentary on Valerius Flaccus’ Argonautica Book VI in two volumes. While still working on these topics, he is currently preparing a commentary to Virgil’s Aeneid Book III and a study on Ovid’s elegy from exile as a prototype of ’eccentric’ poetry. Other papers about the presence of the civil war theme in Flavian epic and the role of divine personifications in Claudian are forthcoming. In the last two years he has been invited to deliver talks and papers at international conferences in Italy (Milan, Udine, Palermo, Rome, Naples) and abroad (Dublin, Edinburgh, Bordeaux, Ljubljiana, Strasbourg, Genève, Nijmegen, Rostock, Lille).